Russian Poker is a casino table game which is an interesting variant of standard poker. It is actually somewhat similar to pai gow in that it requires the player to separate his cards into hands – although in the case of Russian poker, you need to make up 3 hands rather than 2. The object of the game is to beat the dealer by coming up with the higher point value for each of these 3 hands. As you can see, this makes for a very challenging game. A combination of good luck, strategy, skill and a little bit of daring – is essential for success at this poker variation. 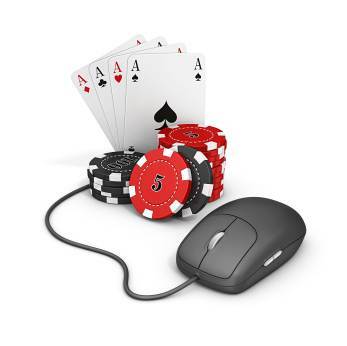 It’s just starting to become popular in online casinos, so you can catch a game or two on the Internet. Russian Poker is played with a standard 52 card deck. The player will begin by placing an ante bet. Following this, he will be given 13 cards. If he thinks that his cards are extremely weak, ha has the option to surrender (fold). Otherwise, the cards will need to be divided so that they can be arranged into 3 separate hands, which are called the top, middle and bottom (or back, middle and front) hands. The bottom hand will be composed of 3 cards and must have the lowest point value of all hands assembled by the player. The middle hand is a total of 5 cards that must be worth more than the bottom hand but less than the top. The top hand is also made up of 5 cards and must beat both the middle and the bottom hand. Once the player is satisfied with the way he has made his 3 hands, then he begins to compare them with the dealer’s, starting with the bottom hand. Whoever has the highest point value in this 3 card hand will win a quarter of the pot. Then the middle hands will be compared. Once again, the highest of this type of hand is paid out a quarter of the pot. Last comes the comparison of the high hands. Here the top scorer will receive the remains of the pot – in other words, half of the original total. However, if it turns out that the player has made his hands incorrectly, so that a low or medium hand has a larger point value than a medium or high hand respectively, any wins he may have against the dealer are invalid. The most important part of a good strategy in Russian Poker is to make sure you understand the rules and know how the hands should be set up. Losing a round due to a misunderstanding is very frustrating. Next you will need to look at your hand with a very critical eye. In some cases surrendering may be the best option. If you decide to proceed, remember that you are not playing traditional poker. Some of the choices in Russian Poker will seem very counter intuitive to a veteran poker player. However, the principle is to make sure that all 3 hands work together to give you the best chance at winning.